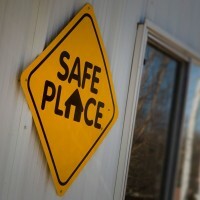 Most of you have probably driven by a fire station or other public building and noticed a diamond-shaped, yellow sign with the words "Safe Place" printed in black, but do you know what Safe Place actually is? Safe Place is a national youth outreach and prevention program for young people under the age of 18 in need of immediate help and safety. As a community effort, Safe Place designates businesses and organizations as Safe Place locations, making help readily available to youth in communities across the country. The best locations are those that are open longer hours and in highly trafficked areas, making it easily accessible for youth to get help. How did Safe Place start? Safe Place started out in 1983 in Louisville, KY as an outreach program of the YMCA Shelter House. Just three years later, the YMCA Shelter House presented their idea to expand the program nationally, and from there the National Safe Place Network started opening Safe Place programs across the country – one of the first being in Knoxville, TN. Today, there are 138 Safe Place programs operating more than 20,000 Safe Place sites in 39 states across the U.S.
What is the relation between Safe Place and Sally Kate Winters?